One distinctive feature of wild turkeys is having a large breast. The breast lobes are attached to the sternum or keel-bone and run over the ribcage. When filleting the breast away from the keel-bone, be diligent to run your blade along the bones to save as much meat as possible. By doing so, the tenderloins can be saved. On the inside, tucked into the breast itself, loosely attached by connective tissue is the muscle referred to as the tenderloin. 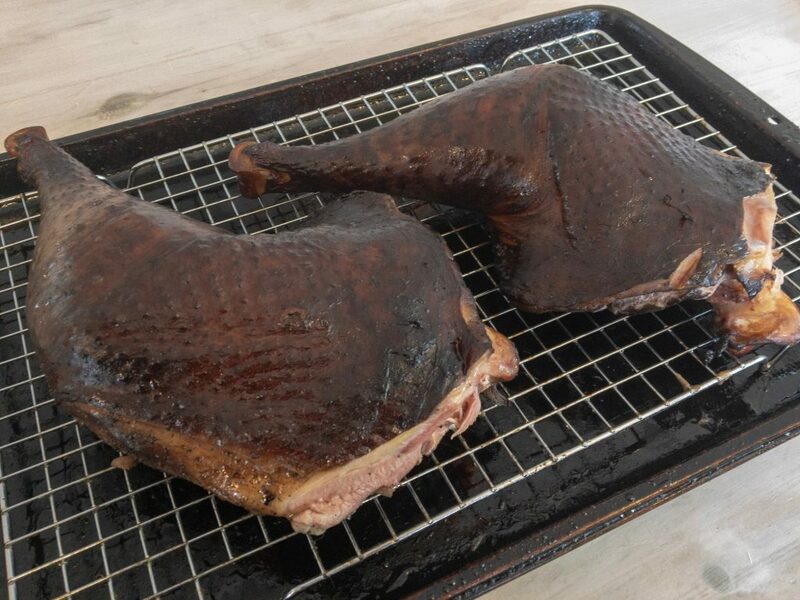 White meat by nature and not having attached skin, this muscle is extremely lean and needs careful cooking because it can be dried out very quickly. However, with some preparation ahead of time, and a watchful eye, this cut can quickly become a springtime favorite. Marinating any piece of meat is only going to be effective as the depth the marinade will be able to penetrate. In most cases, marinade will only work to the depth of a ¼ inch. For larger cuts, like a roast or whole breast, marinating will get the surface, leaving the inside without the desired flavoring. 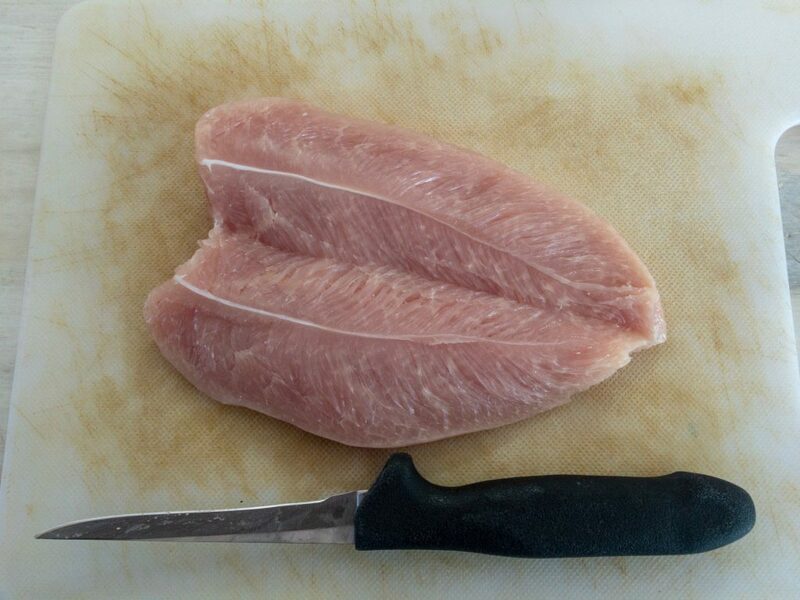 In the case of the tenderloins, by butterflying them you get a larger surface area and a thinner profile. Perfect for getting full penetration by the marinade. To butterfly the tenderloin, turn the fillet on its thin side, brace the meat with your off hand. Starting at the thick end, and run your blade the whole length of the tenderloin, careful to not pass completely through the meat. Allow the tenderloin to now open up and lay flat on the block or cutting board. Run a second cut if the tenderloin doesn’t lay flat. If by chance you cut completely through, it’s not the end of the world, you will just have 2 halves. When it comes to marinating meat, the longer the better. If you plan ahead, overnight is best. Otherwise, a several hour soak will work. To meal prep, you could pour in the marinade when vac-sealing the tenderloins. Make sure to butterfly before freezing. Turkey meat is a mild flavored meat. So lighter flavors work best. Citrus is a good match up. 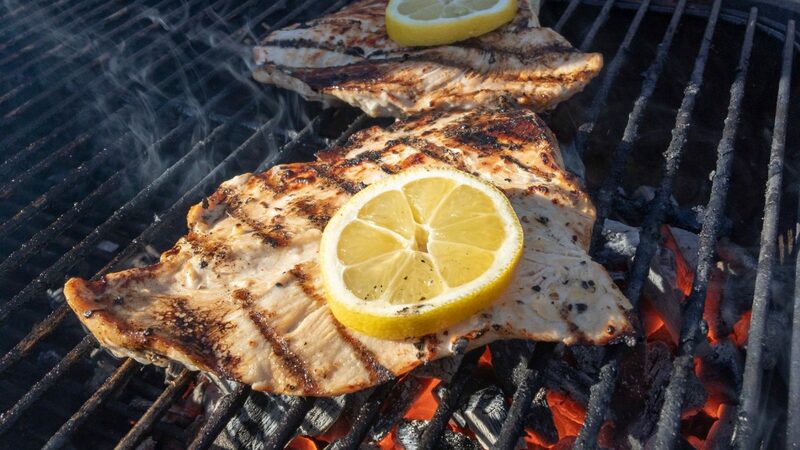 Naturally, a Lemon Pepper Marinade will bring out the best of your bird. Another great marinade is Zesty Italian Dressing. Straight from the bottle, the dressing is slightly acidic, mellowed out by the olive oil and seasonings. 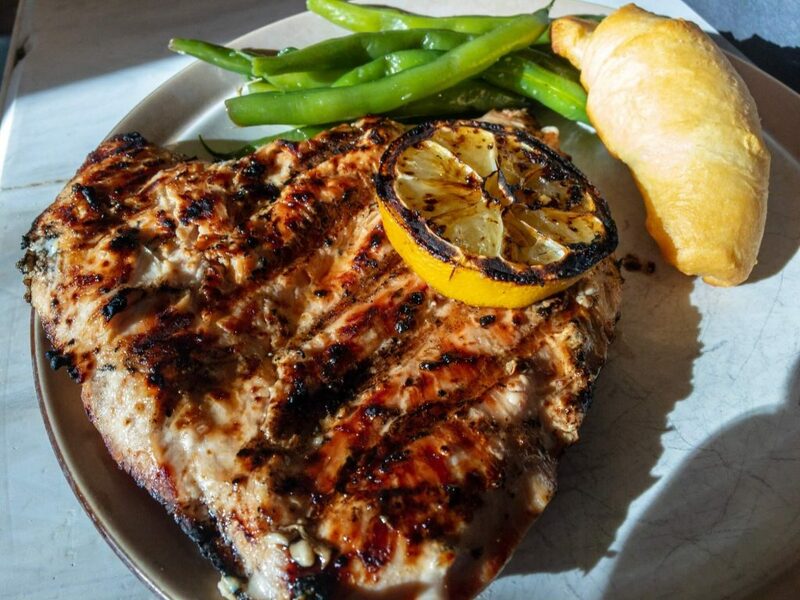 Lemon Pepper Marinade will bring out the best of your bird. Move to indirect heat and finish cooking till juices run clear, and meat is white.